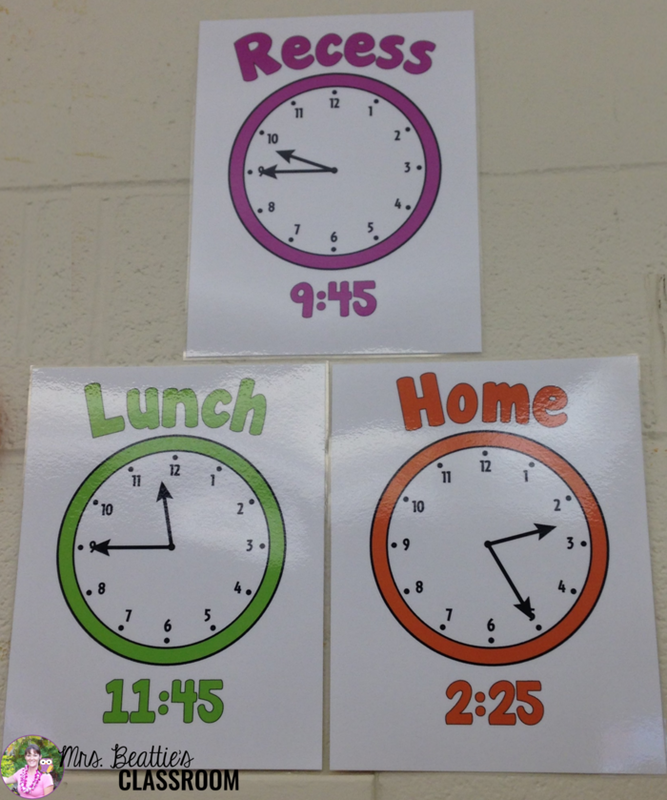 Telling time can be a difficult skill to teach in isolation. 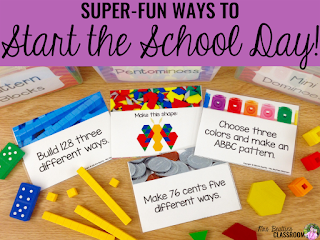 In my experience, it can easily be made part of your regular daily routines and discussions throughout the year, and your students will find far more success with this authentic practice. 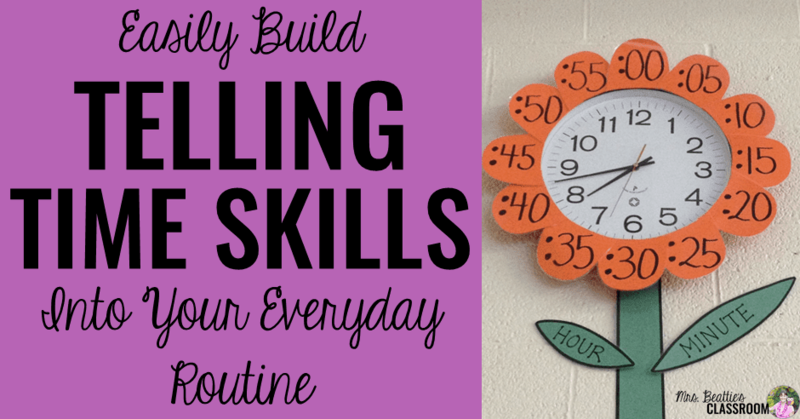 This post contains my suggestions for how to easily build telling time into your everyday routine. In my classroom, I have labeled my clock. These labels have evolved over the years, from the flower you see in the image above, to something a little more condensed when I changed classrooms and had a little less space. The labels show the minutes and the language of the hour, quarter hours, and half hour. Having this visible every day allows your students to tackle time skills whenever they are feeling inspired to do so, rather than only thinking about this during your lessons. Secondly, by posting transition times in a place near your clock where students will see them, and by using time language in your classroom, you can help your students develop their ability to easily recognize the analog time. For example, rather than saying, "Time for recess, boys and girls!" you can say, "Look at the clock. It is now 9:40. In five minutes it will be recess!" Having these significant times posted gives students a reference to use throughout the day and I have to say it has definitely helped with the learning curve in my classroom! 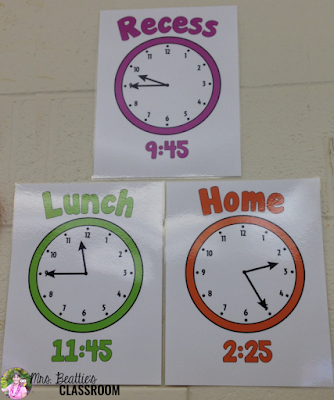 Do you have any tips or tricks that you use when teaching students about telling time? Share them in the comments at the bottom of this post! 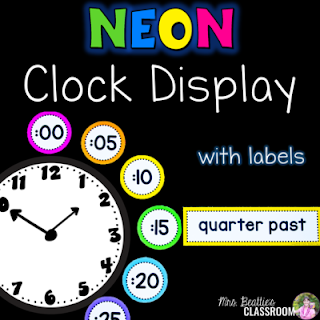 Grab my neon clock labels by clicking the image below, or grab them as part of a huge BUNDLE of neon decor!